In the last days of this summer, we would like to suggest you to look through our handy collection of 10 Best Free Joomla Templates for keeping your website contemporary and updated. Being the second most popular and flexible CMS platform nowadays, Joomla enables you to build up dynamic websites and powerful online applications with ease. 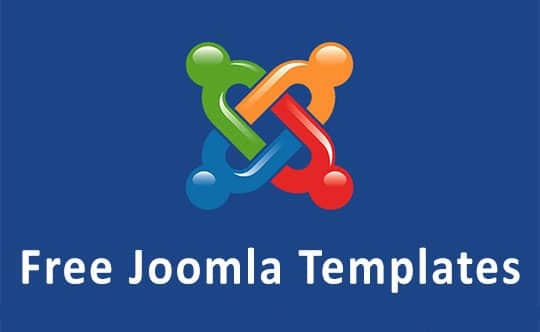 In fact, Joomla is the easiest way to set up and manage your website without deep coding skills. What do you expect to get from your website? Profit? Promotion? Popularity? Many of us don’t know where to start in order not to fail. Great news: Joomla is an open source platform anyone can use and make a strong step forward in your success. There are tons of free and premium Joomla templates to choose to fit your business needs. Of course, it takes some time and efforts to find the suitable template. Today we suggest you to save your time and build a great website with one of our free Joomla templates, which will be suitable for almost all business niches. Let’s check out this compilation of only great and high-quality free Joomla templates that are currently available for your attention on the web market. This free Joomla template is a great solution for interior and exterior, architecture, fashion and furniture businesses. It runs on Bootstrap functions, Joomla 3.3.6, HTML plus JS animation. It is SEO-friendly and cross-browser compatible. Ulmus – Interior and Furniture Free Joomla Template adapts flawlessly to all popular digital devices and screen resolutions due to its fully responsive nature. Designed elegantly with a lot of white space this free template will impress your visitors. This user-friendly free Joomla template is built on the Gantry v4 Framework and includes a set of useful features to create a dynamic website page of any type. Dozens of style options, flexible layout, grid system, Google Analytics, 4 Column Mainbody, PrettyPrint, and more. Powerful responsive layout adjusts to the size of the viewing device, such as a desktop, tablet or smartphone. Integrated social media will help you to interact with your clients and visitors. Multiple color options, unique typography and module variations, make this template easy-to-use and navigate. This modern and attractive free Joomla template is a perfect solution for creating a website for family-related organizations, society and culture agencies, architecture, and business projects. Running on Bootstrap features, the template is cross-browser compatible, fully responsive, SEO-friendly and visually appealing to impress your audience in the best manner. Intuitive navigation, Sliced PSD, Google map, Google web fonts, SEO-friendly, social options, sortable gallery, etc. Positive color scheme and retina-ready images will help you to enhance your website’s popularity. This powerful free Joomla template with clean and pure CSS design suits all types of business websites. Powered by Bootstrap 3, the template is responsive and cross-browser compatible Firefox 3+, IE8+, Chrome and all popular mobile devices. It features CSS3 animation, 19 module positions, 600+ Google fonts available, Google analytics, typography, etc. The template is easy-to-use and navigates. Your visitors will definitely appreciate your attractive and dynamic business website. 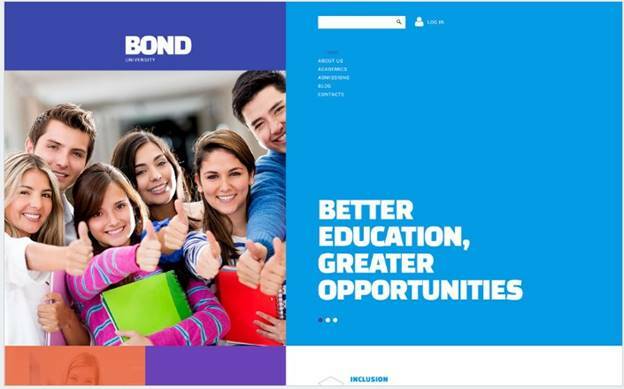 If you are looking for a clean and attractive Joomla template for your educational project, try out this great solution. Your website will look great due to its notable large headers, vertical navigation, pixel-perfect design and a responsive layout. Colorful blocks are well-organized, social widgets provide great user interactions; Google map helps your clients to find you quicker. Provide your visitors with all the needed information and follow them towards some action, such as subscribe, sign ups or purchase. Carefully created Demetra Spa Salon Free Joomla Template meets perfectly the requirements of a beauty salon, spa salon, health care, fashion and portfolio projects online. The smart combination of mild colors and advanced features adapts great to all mobile devices and screen resolutions. Easy to install and customize, the template includes stock images, social links, detailed information, Contact, About Us, Typography pages, etc. Additionally, customizable footer section, Services boxes, Testimonials and FAQ sections. You will appreciate the ease of use and manage of this high-quality template suitable for building a website for an exterior and interior studio, architecture and business project, a furniture company, etc. You are free to make any changes and updates needed for your successful business presence online. The responsive layout adapts perfectly to all screen resolutions and digital devices available nowadays. Great combination of colors and advanced features make it functional and aesthetically appealing to your visitors and clients. Advanced Commenting System and navigation will help you to gain popularity on the web market. This free template fits great to build up a personal website or any other type of business presence online. Running on Bootstrap, it features responsive and flexible layout, Helix II Framework, Google Fonts, Google Analytics, HTML5, & CSS3. You have the total control over the presets and colors of your website and its layout. The full-width slideshow will help to impress your visitors and gain their attention. Try out this outstanding free Joomla template suitable for photographers, creative individuals, portfolio, and business projects. Single-click installation process makes this template powerful solution for promoting your notable project, product or service. Edit and manage it with minimal efforts and hold the attention of your visitors for longer. Enjoy editing this template and impress your audience in the best manner. Great post. I love no.4 Minimalist, it’s just an awesome Joomla template, thanks.